The bio of Sydney John Fitze | Launceston Then! Sydney was born in 1888 to John and Eliza (nee Tucker) Fitze at Launceston. He was the eldest of three children having a sister, Annie and a brother Stanley. His father ran an Ironmongery business in Westgate street, Launceston. After leaving school Sydney joined his fathers business as an ironmongers assistant. He married Elsie Gulley (below left)of Plympton St. Mary on the 25th of April 1912 and they set up home at No. 1 Belle Vue Terrace, Launceston. Their only child John Charles Stewart was born on the 25th of November 1915 (Stewart later married Enid Barriball daughter of Ernest Barriball of Barriball and Sons, Southgate place). 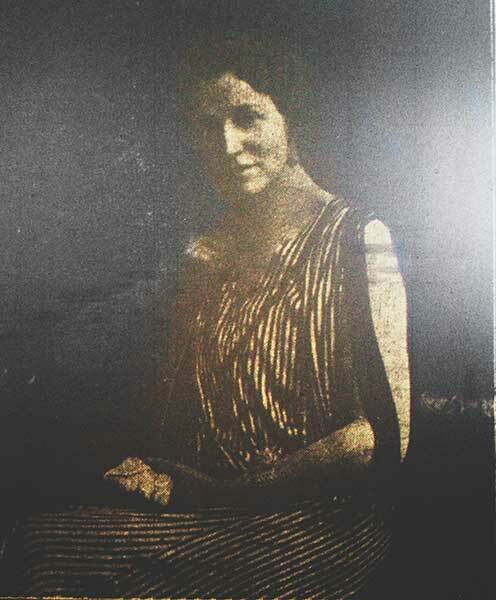 Elsie was the sister of Councillor W. Gulley of the Tavistock Urban council. She had also been a member of the Devon Special constabulary and in 1935 received a medal for her services. In the August of 1916 he initially joined the Devonshire Regiment (Regimental No. 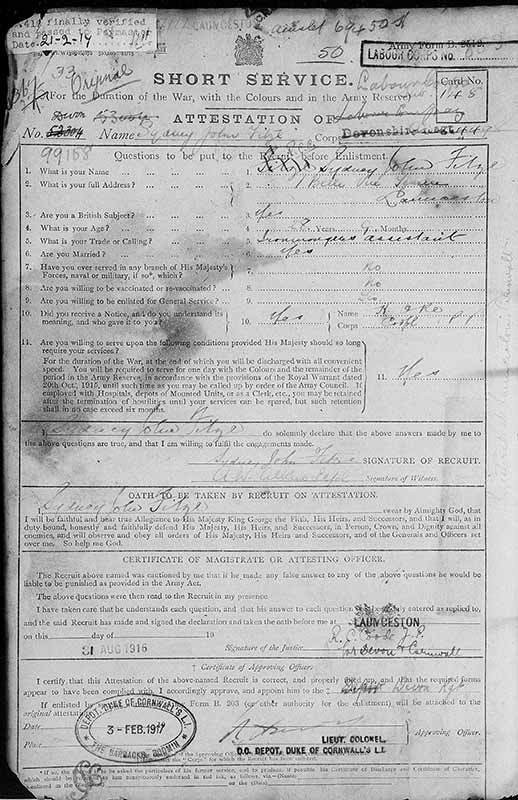 52304) during World War One, but was later transferred to the Labour Corps (Regimental No. 99158) serving as a Sergeant with the 166 Labour company. He was mentioned in despatches in November 1918. 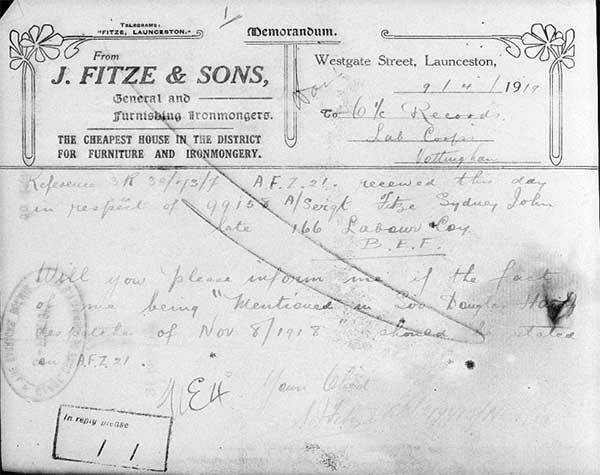 His Uncle, James S. Fitze was the first from Launceston to fall during the war. He was demobbed on the 4th of February 1919 returning home to commence working in the families ironmongery business which had expanded with a shop in Tavistock. On his fathers death he and his brother Stanley took over the business, but soon after the partnership was dissolved with Stanley continuing running the Tavistock branch and Sydney the Launceston shop. Sydney later moved the business to Broad street taking over the old Dunn’s premises on the corner (now Boots). The business was sold on to Timothy Whites in the early 1960’s. In 1930 he was elected to the town council becoming mayor in 1936/37 and again in 1937/38. 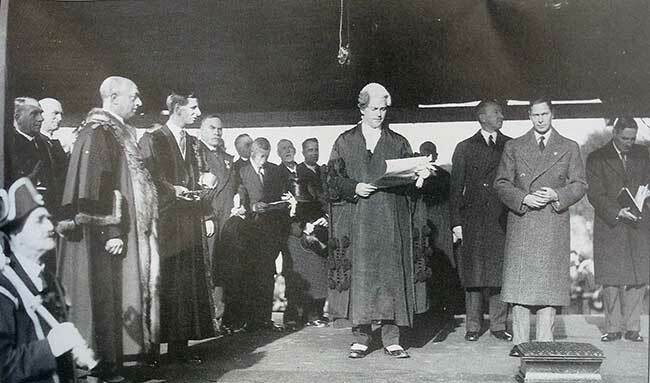 In November 1937 he greeted King George VI to Launceston for the presentation of the feudal dues (below right). 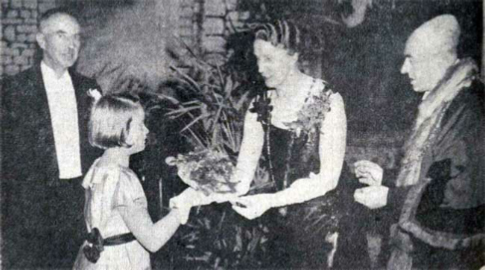 Launceston Mayor and Mayoress Mr and Mrs S. J. Fitze being presented with a bouquet of Flowers at the Hospital ball in November 1938. He was at one time the chairman of the municipal and electric light committees. 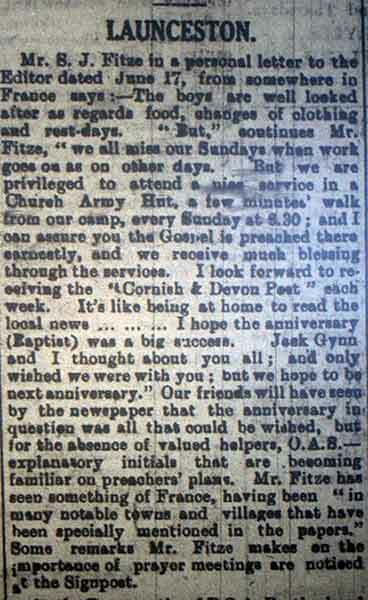 The whole family were staunch Baptists and Sydney was heavily involved as secretary of the Launceston branch as well as being a past president of the Devon and Cornwall Baptist association, Plymouth district, and was first president of the minister’s and deacon’s fraternal district. 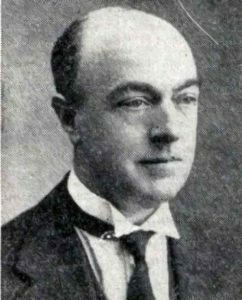 He instrumental in the Churches move from Western road to Madford house in 1927. He also served as vice-president of the Launceston Brotherhood. With his experience of the military during the first World War he was a keen member of the British Legion. 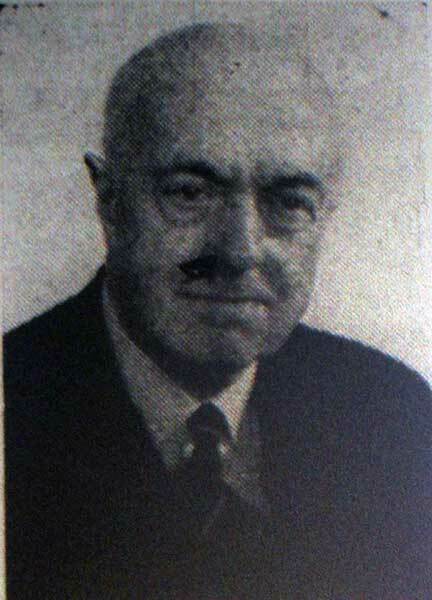 In 1938 he was made a bard of the Cornish Gorseth taking the name Ledyor yn Dunheved (Leader in Dunheved). Mayor Sidney Fitze posting early for Christmas in December 1937. Article of Sidney becoming mayor in 1936. He died after after a long illness at Greenbank Hospital, Plymouth on the 24th of September 1971.